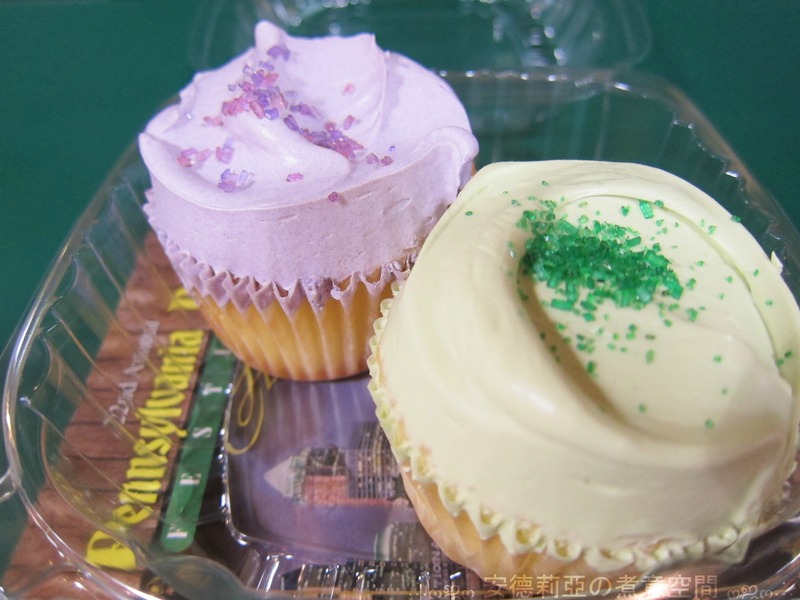 Philadelphia Eats: Flying Monkey Bakery | . :.ღஜღ 安德莉亞の煮意空間 ღஜღ.:. I got drawn into their unique cupcake colour and flavours, and they didn’t disappoint. It’s very good and moist pound cake with icing that you will like to eat. Their icing is creamy, not greasy and just barely sweet. It’s one of the best cupcakes I’ve had, and I don’t even like cupcakes that much. I especially loathe American buttercream icing! They use Swiss buttercream method here for their cupcakes. It’s totally worth a visit here when you are in the Reading Terminal market. Lavender had a slight floral taste to it. Pistachio also had a faint taste of pistachio.